Cannabis sampling is crucial for determining a bulk harvest’s various features and overall quality. As the cannabis industry keeps growing and migrating into the mainstream, the need for quality sampling programs that accurately reflect the entire product’s characteristics will also increase. Cannabis sampling may sound straightforward, but approaching it sluggishly can make it extremely easy for growers to manipulate their samples, and respectfully their entire product’s image. 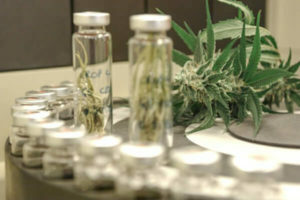 The idea of cannabis sampling is the same as any other kind of sampling – to understand a product’s characteristics by examining a representative part of it. However, when it comes to cannabis, sampling comes with certain complications. Unlike other homogenous or nearly-homogenous products like alcohol,cannabis is usually sold as intact flower buds. Different parts of the same cannabis plant can significantly vary in potency, not to mention the fluctuations that can be observed between different plants of the same harvest. 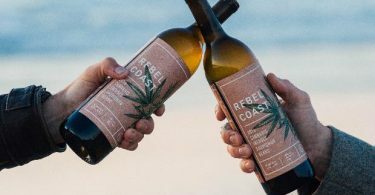 It’s somewhat of a paradoxical situation – a standard and bona fide way in which cannabis is sold as a product is the same way that makes it harder to representatively sample and thus validate as a whole. These problems clearly open up chances for sample manipulation, which certain manufacturers can take advantage of in order to “maximize” the appearance of a crop’s potency. 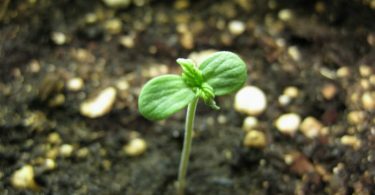 It’s generally believed that the THC content of individual plants vary from top to bottom, and this is mainly due to differences in exposure to sun light, or the varying proximity to the light source. The rule of thumb is, the more and higher intensity the light, the richer the cannabinoid and terpene content. Naturally, a cannabis producer is well aware of this. Submitting for sampling only those parts high in cannabinoid content can create a significant disparity between the samples being tested and the crop as a whole. The sampling of cannabis flowers could include strategies that divide groups according to height variables which correspond with different amounts of light exposure. Samples also need to be cured and dried before analysis. This step targets a specific moisture range, rather than just drying to remove all moisture, which would by default, increase the potency when reported as a weight percentage. Some states want growers to divide harvests into groups from which the testing lab would then select stratified samples. The biggest question, however, is how representative the amount of cannabis sampled by the lab will be to the products vended on dispensary shelves. In Pennsylvania, for example, the state mandates that, for a ten pound or less harvest, the lab shall sample “8-10 grams or a quantity the approved laboratory and grower/processor determines is sufficient to perform all the required tests”. Ten pounds is approximately 4536 grams, meaning the sampling of ten grams in ten pounds would result in 0.2% of the harvest having been analytically tested. If the grower and lab agree that less cannabis flower can be submitted, obviously the likelihood that the amount sampled represents the bulk harvest is further decreased. Cannabis sampling is crucial to the fair conduct of trade and to customer satisfaction.Not only are these central elements of virtually any business, but in the case of the cannabis industry, overlooking them could lead to past stigma, never allowing it to reach its full potential.